The EZReports software has the ability to generate all 21st APR reports. 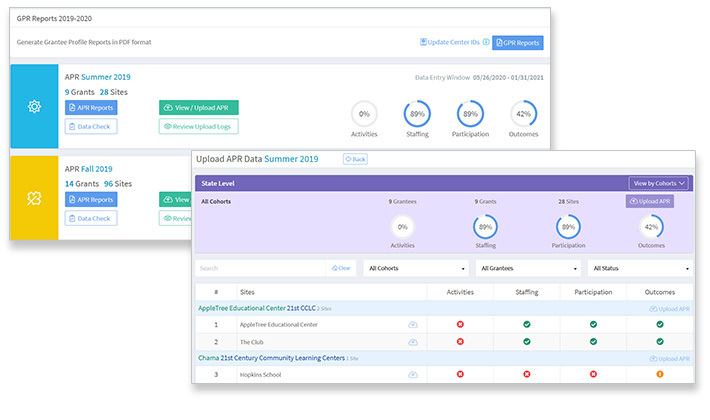 Participation reports are generated from student/adult demographics and attendance data recorded in the EZReports software. The EZReports software also allows has the ability to track family participation. The EZReports software have upload tools to import day schools grades and test scores using excel files. The mobile application for surveys makes it easy to send out and collect teacher surveys.